When it comes to your children you automatically wantfi the best in life for them and that includes nutritionally too. My eldest Lottie-daisy is not big on sweets or crisps (thank god) but she does have a soft spot for cookies, iv mentioned this in past blogs. This is her little treat she loves to go to the press take out the cookie tin then ask for a cookie + now her mini me Lillie-b does the same (il have to find a better hiding place). Now I have no problem with cookies as a treat everything in moderation but its frightening when you actually look at the back of the pack + see the amount of "ingredients" that go into a little chocolate chip cookie or a custard cream. 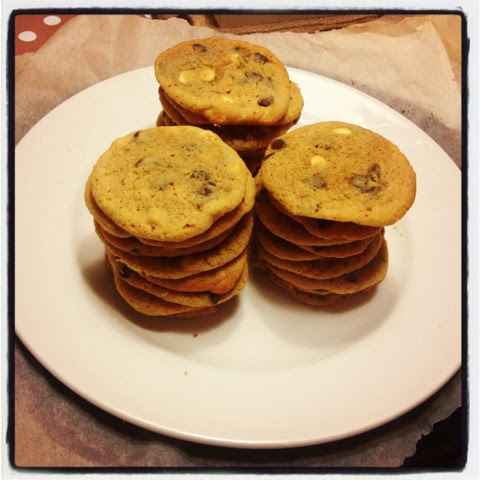 So as my blogging buddy Laura always encourages us all to do I decided to get the girls involved in making their own cookies. And what's a bomb proof cookie that everyone can't resist a chocolate chip cookies, the chewy gooey jammed full of chocolate chips kind!!!! Firstly cream the butter and sugar together until light in colour next add in the vanilla bean paste and when combined add your eggs one by one. In a separate bowl sift together your dry ingredients add the chocolate chips then mix into your wet bowl, it's a good idea to add the chocolate chips to the flour as it coats them and prevents them from sinking to the bottom of the mixture. 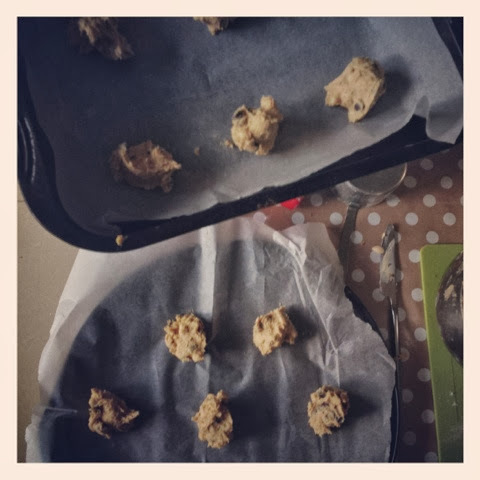 Once the mixture is ready lay out some baking parchment onto your baking trays and one by one scoop out the cookie dough with two small spoons and plop them down on the trays. I spaced them 4 down and 3 apart as they ooze out when in the oven. Now pop your trays in the oven and bake @160" for 10 minutes they need to be soft to the touch when they come out and left ALONE to cool completely other wise they will fall apart, as Lottie found out.